ALL THE ROOFTOPS! 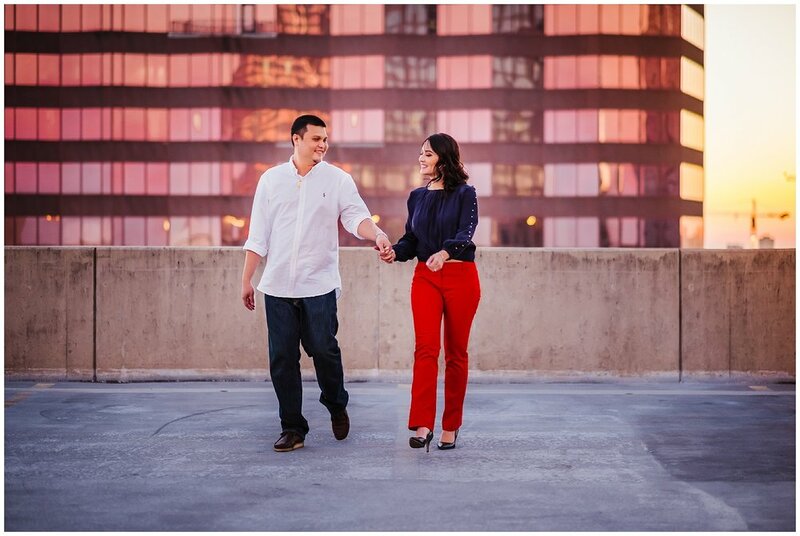 The grand finale of Donna & Johnathan's awesome engagement session was at my favorite parking garage. I usually get busted but we got so lucky :) We started their session over at UT taking full advantage of the brick, landscaping, and riverfront view of downtown. From there we ran over to my favorite stretch of Bayshore for sunset. Shooting toward the east gives so much color to the sky, it was lovely. We then soaked up the last rays of light from the roof of the parking garage, shiny buildings all around. It was the perfect night! These two babes get married this weekend! I cannot wait to spend Cinco de Mayo celebrating their marriage at the Vinoy Sunset Ballroom!